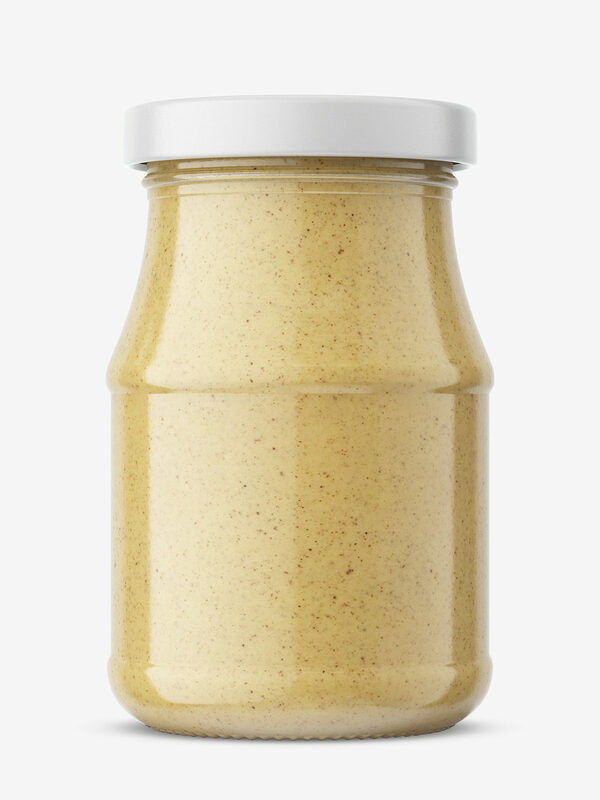 Popular glass jar filled with mustard or other similar cream. 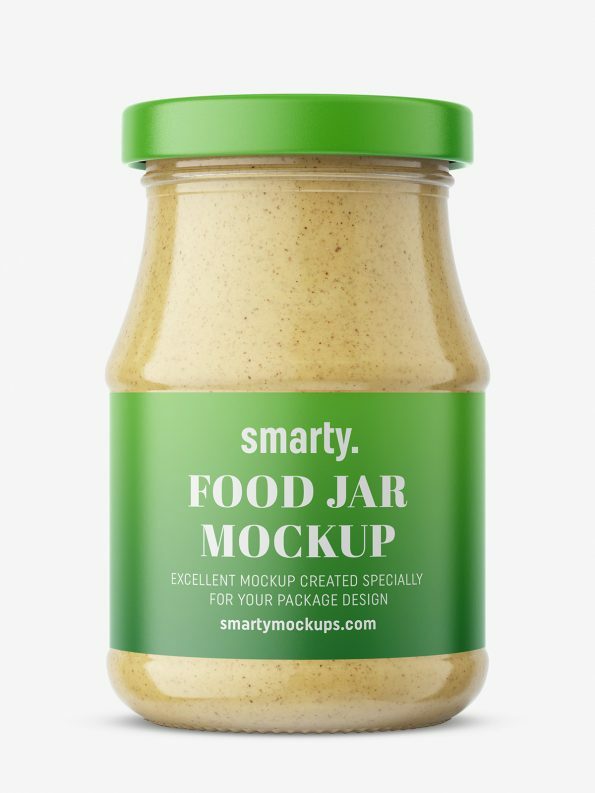 Mockup prepared with an option for an easy change of the cap and label project. 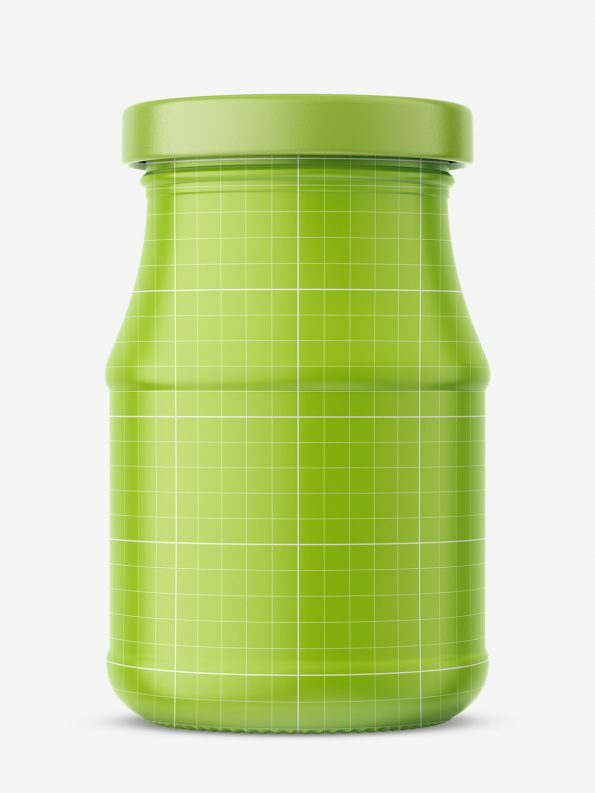 Inside of the jar cannton be replaced.